Our Operation & Maintenance Plans keep your system working efficiently and in compliance with local regulations. Most aeration systems today have a filter that must be maintained. If your aeration system is not maintained regularly, catastrophic results will occur. Bio-kinetic filters need service every 6 months, up-flow filters are serviced as needed. Some newer septic systems have an effluent filter in the baffle tee that also need periodic maintenance. We offer Operation & Maintenance Plans to keep your septic system working efficiently and in compliance with Ohio's laws. What is the basic function of an aerator in your System? Septic aerators are devices used for introducing air into your septic system. An aerator mixes and oxygenates the liquid helping break down solid matter. An aerated system is much more efficient than a septic system at breaking down solids. Our Operation & Maintenance Plan for an aerated system includes 2 visits. This plan includes, but is not limited to, cleaning of the blower filter or aerator shaft, visual check of the trash trap and clarifier. As well as checking the operation of the sump pump along with following the manufacturer's maintenance instructions. Please contact the Supeck Septic Services office for pricing details. 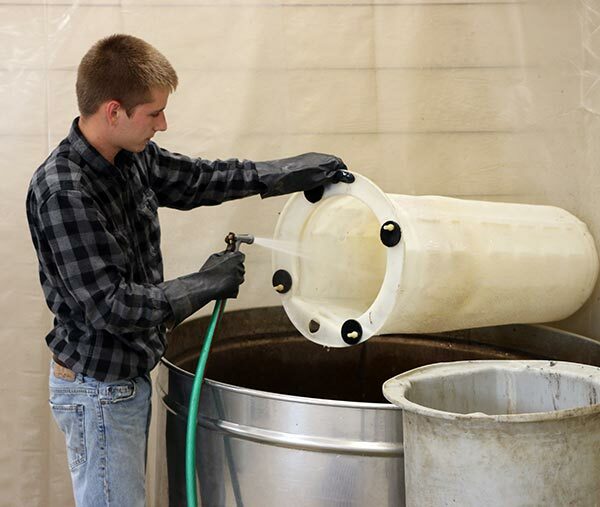 A Supeck Septic Services' Maintenance Plan for the Jet BAT system includes 2 visits. Our Jet BAT system service includes but is not limited to air cleaning of the BAT media, cleaning of the aerator shaft, along with following the manufacturer’s maintenance instructions. Bio-Kinetic Filters are used in conjunction with Norweco Singulair aeration tanks. Our Maintenance Plan for the Bio-Kinetic filter includes 2 visits. Our service includes but is not limited to exchanging the BK filter, cleaning the aerator shaft, along with following the manufacturer’s maintenance instructions. To learn more about Ohio's requirement for having an Operation & Maintenance Plan in place for your septic system, visit our Operation & Maintenance Resource Page. Keep your septic system working efficiently and in compliance with Ohio's laws. Call our office to get started on an Operation & Maintenance Plan today.